In a letter to governor Mridula Sinha, Goa Congress chief Girish Chodankar said in such a scenario, the Congress should get a chance to form the government, and the Assembly should not be dissolved before its term is over. 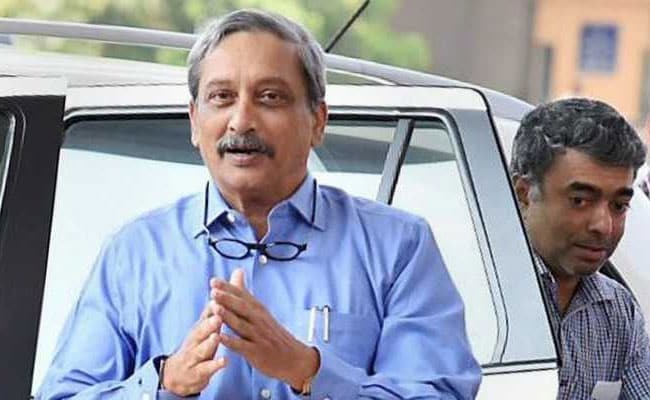 Opposition Congress in Goa wrote to Governor Wednesday, expressing fear that Chief Minister Manohar Parrikar may dissolve the Assembly as he is "losing grip" over allies and facing intra-party politics. Mr Chodankar also claimed that Mr Parrikar -- who returned from the US last week after medical treatment -- has not resumed office yet. The state BJP refuted his claims. Mr Parrikar underwent treatment in the United States for a pancreatic ailment for nearly three months earlier this year. The Congress leader said in the letter to governor that Mr Parrikar may recommend dissolution of the assembly so as to stay as caretaker chief minister before going for state elections along with the Lok Sabha polls. The Congress, which emerged as the single largest party in the coastal state in 2017 elections, should be invited to form the government in such a scenario, Mr Chodankar demanded. "He (Mr Parrikar) is losing his grip over allies and his party MLAs and leaders. The administration is on its knees. Goa is in a state of emergency on account of the void created by lack of administrative and political head," he said. "If Parrikar is unable to run the government, we should be given the opportunity to form government," he said. Goa BJP chief Vinay Tendulkar said the opposition party was "playing to the gallery" by making such petitions to the governor. Chief minister Parrikar was ably handling the administration and there was no question of dissolution of Assembly, he said.